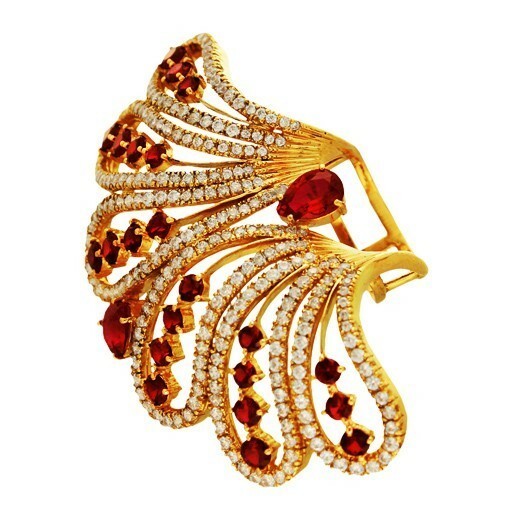 A dainty and exotic ring made of 22 karat gold crafted in the reflection of nature’s beauty. 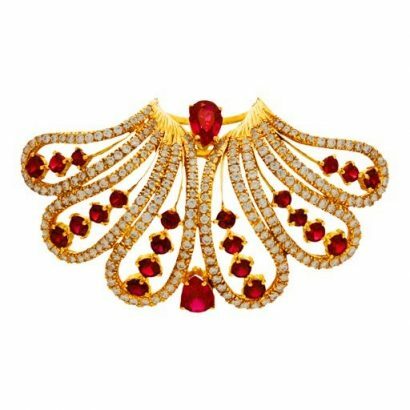 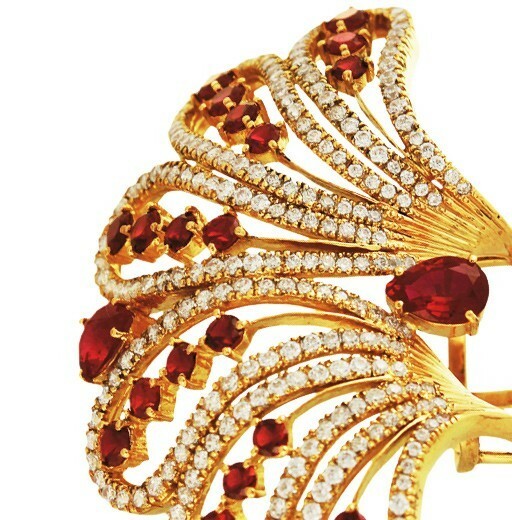 Brilliant white stones highlighted with radiant red, bringing to life an exquisite floral creation. Feminine, fashionable and exquisite.